PUNXSUTAWNEY, Pa. – You will have to forgive Clarion volleyball players if they had nightmares about Maggie Hogan. Relisten to the broadcast of the match. 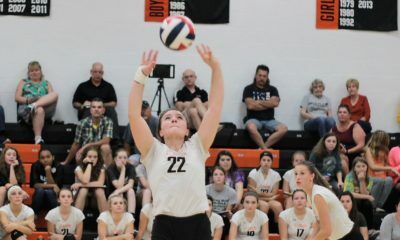 Northern Cambria’s sophomore outside hitter recorded 27 kills to lead the Lady Colts to a 3-1 (25-20, 22-25, 27-25, 17-25) win over the Lady Cats in the PIAA Class 1A quarterfinals Saturday evening at Punxsutawney High School. “The way our team comes together, I just know I have to be there for them,” Hogan said. The win gave Northern Cambria a sweep of a pair of matches vs. Clarion this season and avenged a 3-1 loss to the Lady Cats in last year’s quarterfinals. Saturday’s match was another classic between the two squads. 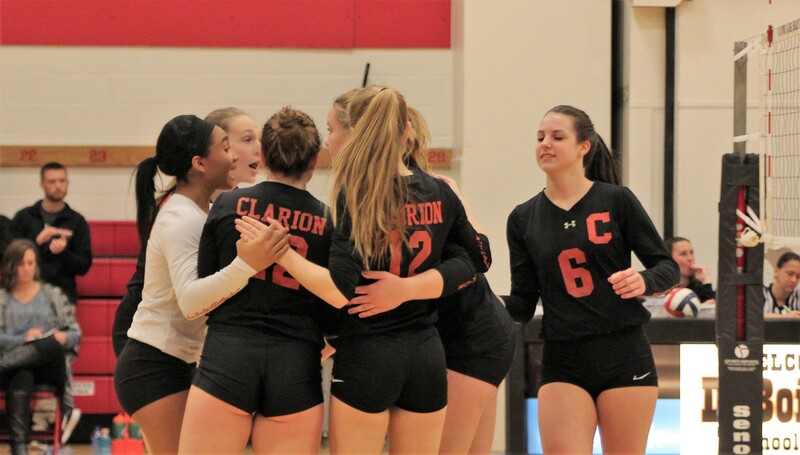 With the match tie at one set apiece, Clarion found itself down 24-22 in the third set following back-to-back kills by Hogan, who had 10 in the third set alone. But kills by Maddie Schill, who led Clarion with 10 kills and Korrin Burns tied the set at 24. Jordan Best then dropped an ace to put the Lady Cats on the verge of going up two sets to one. 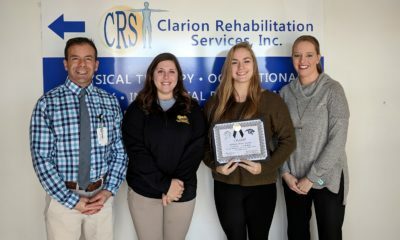 The ace was one of nine by Clarion in the match, including four from Kait Constantino, something that kept the Lady Cats competitive throughout the night. 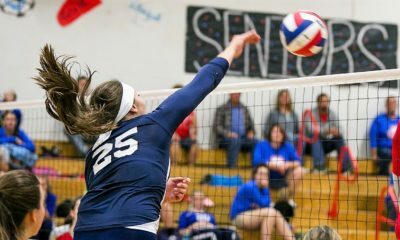 Hogan, however, recorded her 10th kill of the set and her 20th of the match to tie things back up at 25, and then a communication error between KK Girvin and Dorothy Kalinowski allowed a very playable ball to drop between them giving the advantage to Northern Cambria at 26-25. Northern Cambria took advantage of its second life to put the set away on a kill from Autumn Donatelli that came after Clarion almost made the same exact mistake on a ball over the net before recovering to keep the rally alive. But up 2-1 after it appeared they could be down 2-1, the Lady Colts came out in the fourth set and left little doubt of who the winner was going to be racing to an 11-5 lead behind four more kills from Hogan, a kill from Brooke Lieb and an ace from Camryn Dumm. The lead grew to 17-8 thanks in part to two more Hogan kills before Clarion put together one last push going on a 5-0 run that included two kills from Schill and one from Kalinowski to close within four 17-13. 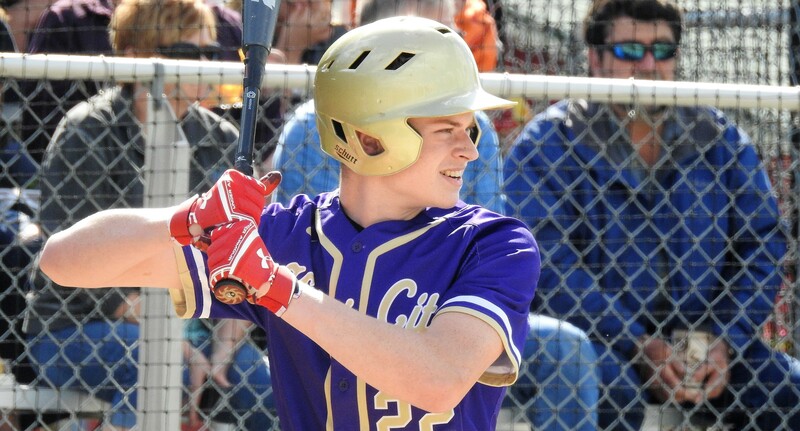 A hitting error by Schill, though, started a 6-2 spurt for Northern Cambria that all but put the match away wita h 23-16 lead. Hogan then recorded her final kill of the night to make it 24-16, and Lieb finished it off with a kill. Campbell pointed out what a delight it was having Kalinowski, who missed all of last season with an illness, back and also pointed to the work-ethic of Hailey Sintobin. 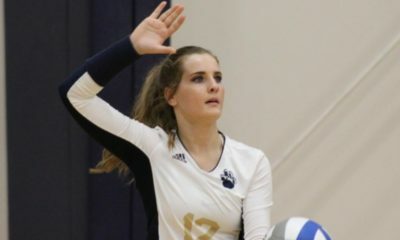 Sintobin was strong early for Clarion in both the blocking game, where she recorded three in the first two sets and in the middle with a pair of kills. Clarion’s block early on gave Northern Cambria some trouble, although the Lady Colts were able to adjust as the match went on. Campbell said the play of Nicole Bearer in the middle helped Northern Cambria mitigate some of Clarion’s early block. Bearer finished with seven kills, all from the second set on. Northern Cambria moves into the semifinals Tuesday against District 6 champion Bishop Carroll, who beat the Lady Cats for that D6 title last week. For Clarion, the season comes to an end a round short of last year but with a District 9 title for the first time since 2015. Of the Lady Cats three loses, two came to Northern Cambria and one to Class 4A State College, which advanced to the second round of the PIAA Tournament itself in 4A.